EB Horsman Product Profile: Keep It Clean! 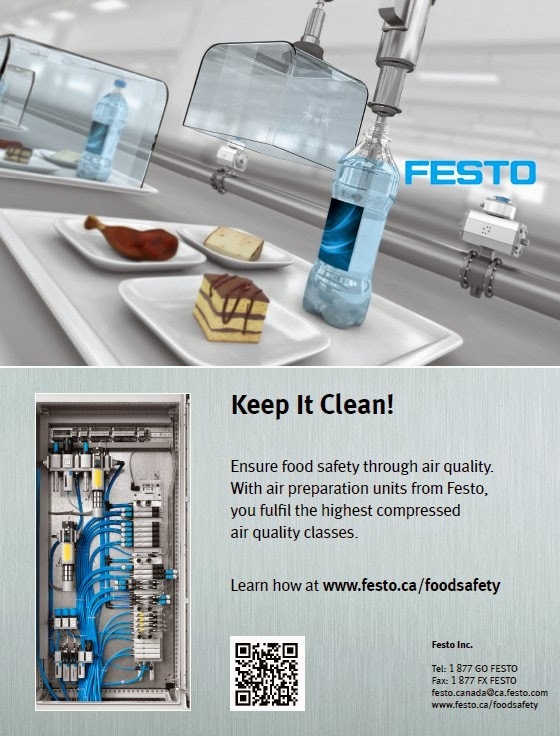 Extremely strict requirements are stipulated for compressed air quality in the food and beverage industry. Adherence to them is important in order to ensure best possible food safety, and thus reduce consumers risks as well. ISO 8573-1:2010 specifies quality requirements for compressed air and stipulates maximum permissible levels of contamination and particle sizes for the respective quality classes. At the same time, standards provide us with the opportunity of penetrating global markets thanks to clear-cut, logical standardisation. A corresponding definition is included in ISO 8573-1:2010. EB Horsman & Son have highly trained Festo Technical Specialists and Local Inventory to satisfy any application support or inventory requirements.